Sir John Henry Thorold, 12th Bt. Children of Hon. Alexandrina Henrietta Matilda Willoughby and Sir John Henry Thorold, 12th Bt. Sir Charles William Strickland, 8th Bt. [S7083] John Fairley, "re: Strickland Family," e-mail message to Darryl Roger LUNDY (101053), 8 April 2014. Hereinafter cited as "re: Strickland Family." Her married name became Willoughby. 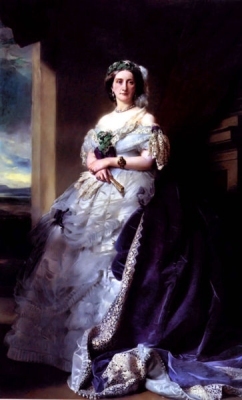 After her marriage, Julia Louisa Bosville was styled as Baroness Middleton of Middleton on 5 November 1856.